Bulgarian Corporate Law allows foreign nationals to remotely register a company in Bulgaria by granting power-of-attorney to a Bulgarian Law firm. The lawyers at Markony Immigration Services, LLP will work with you to remotely register your Single Person Private Limited EOOD company in Bulgaria for only EUR 299. The EOOD is a company designation in which the shareholder’s liability to creditors is limited to the amount of capital invested in the company. Liability does not extend to the individual shareholder’s assets. We recommend this designation to all foreign nationals who want to buy property with land or start a business in Bulgaria. Setting up a company in Bulgaria is one of the most common grounds to obtain a Certificate for Long-Term residence and Bulgarian ID card for EU nationals. • Opening of a company bank account for deposition of the required founding capital. • Printed Certificate of Incorporation. We may also assist you with accounting services in Bulgaria. Our pricing is highly competitive and transparent. • No fee for a registered office address! We will provide a top location registered office address for your Bulgarian company free of charge for as long as you need! • No maintenance, annual or hidden fees! • Guaranteed lowest price! If you are offered a lower price, we would be happy to beat it! from your order. Becoming our client you will benefit from 10% discount from all future orders with us. • Appointment of a nominee director of your newly established Bulgarian company – 400 € annually. • Opening of company bank accounts in BGN, USD, EUR, GBP or CHF – 100 €. • EORI registration in Bulgaria – 100 €. • VAT registration – 100 €. *The Bulgarian Single Person Private Limited EOOD company is registered within 24 hours on receiving an attested power of power. Pursuant to the Bulgarian Company Act, the minimum share capital required for the registration of a LLC company is only 1€. Our Bulgarian corporate lawyers may assist you to register a Bulgarian Partnership OOD company. The only difference between the Bulgarian EOOD and OOD companies is the number of shareholders. For more details regarding our Bulgarian company formation package, please do not hesitate to contact us. 1. Register a Bulgarian limited company. 2. Employ at least 10 local citizens for no fewer than 6 months. All financial factors associated with employing local citizens should be considered when preparing the application for a Business Type D visa. The process to obtain a Business Type D long-stay visa requires a substantial investment of time and money (compared to the Type D visa via registration of a trade representative office) and is; therefore, generally more appropriate for medium- and large-sized companies. For individuals and smaller-sized companies wishing to establish a representative office and obtain a Bulgarian residence permit applying for a Company Representative Type D visa may be more appropriate. Unlike a Business Type D visa, foreign nationals applying for a Company Representative Type D visa (via registration of a trade representative office of a foreign company in Bulgaria) and residence permit are NOT required to hire local employees. For more details regarding company formation in Bulgaria and employing ten local citizens for a Type D Business visa application, please do not hesitate to contact us. 1. Establish a trade representative office in Bulgaria. 2. 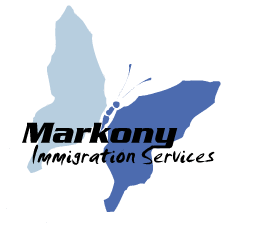 Work with Markony Immigration Services, LLP to address your immigration status. 3. Register a Single Person Private Limited EOOD company (This step is reserved for those trying to increase their business activities in Bulgaria). Please contact us for more information about applying for a Company Representative Type D visa. If you would like to obtain a Bulgarian short-stay business visa, you are NOT required to employ local citizens. 1. Registration of a Bulgarian limited company. 4. Free buy back of the company. For more details about registering a Bulgarian company and obtaining a short-stay business visa, please do not hesitate to contact us.